Sometimes, rather than translating or scanlating an entire volume, I'll just write a detailed summary (anywhere from about 1000 words to 5000 words per volume). Generally I do this for series I really like that have not been released in English and are either not being scanlated or the scanlations are really far behind the Japanese volumes. I am willing to take requests for summaries of stuff I've read (that fits the above qualifications, obviously). The easiest way to see what I've read is by checking out my manga tag on LibraryThing. However, that only goes back to 2005, which is when I started keeping track of what I read. I do, however, have a list of everything I've read here. It was made in 2008 and I do not keep it updated, but it does have everything I've read prior to 2005. An asterisk by the volume number means I have scanned the raw and it can be found in my raws section. Hello! Thanks for doing these summaries :) I'm already overjoyed with your 7Seed ones so no real requests… except more 7Seeds! YAY! p.s. the scanlations are about halfway so far (chapter 51 was recently released); not bad. Basara got finished after all (and it only took 10+ years! 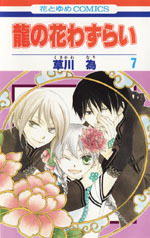 ), so I'm sure 7Seeds will gets its just treatment. Until then, I will subsist off your words. You're welcome! 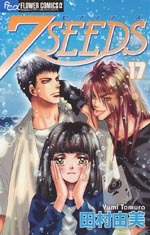 I definitely plan on keeping up with 7 Seeds. I'm really glad there's a group working on scanlating it, but I know that can take a loooong time (and even if it does get an official English release, that would probably take even longer). 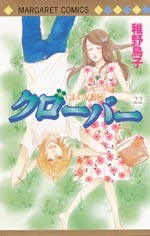 I really enjoyed reading your summaries for vol 22 and 23 of Clover manga. i noted that you mention you will do the summary for vol 24 too, but couldn't' find it. Can you please give the link to it if you have summarised it already. if not whetehr you are planning to do so.